This is my 155th blog post. I was going to celebrate my 150th and write about that, but somehow it slipped by me. It’s also my birthday as I write this. It’s not a milestone birthday this year, but every birthday is a reminder that time marches on. A client asked me yesterday if, when I was younger (ouch), I felt that I didn’t have the experience to be a success. The challenge this client is facing is that he has taken over a family business for which he has the technical skills but has no experience running a business. I asked him to reflect on where he was ten years ago as he was starting to learn the technical side of the business, and compare that to where he is today. He responded by saying that he was miles ahead, had learned so much, and that he was now the “go-to-guy” when things needed to get done. He got the message. Right now his business knowledge and skills are at a level equivalent to his technical skills ten years ago. There is no reason for his business knowledge not to develop in the same way, especially since he is aware, knows where his gaps are, and is seeking to improve himself. This conversation reminded me of the time in the early ‘90s when I had my first go at starting my own business. I set up a sales training and consulting business to provide workshops and training programs for companies. I wrote sales scripts, ran sales meetings and spent one-on-one time with salespeople in the field helping them improve their sales skills. The business failed. At the time I blamed it on the economy as we were going into a recession and companies where pulling back on the training budgets – at least that’s what I told myself. With the benefit of hindsight, I recognize now that I wasn’t ready to do it. I had yet to build up my own skillset, broaden my own experience. In 2014 when the opportunity arose again to start out on my own, I had a much stronger set of experiences on top of enhanced education, gained through both real life and academia. There are a few lessons here I think, and as I scan over the list of titles of the 150-plus blog posts I have written, I can clearly see many of them. Writing those blogs often required me to undertake research, read other posts, magazine articles, academic papers and books. This has been a learning experience in itself. Another lesson is the humbling realization that although we may think we know a lot, we really don’t – there is always more to learn. To be effective leaders we need to be continuous learners. In fact leader or not, we should all be continuous learners. I’ve told the story more than once of a manager I once knew who proudly spoke up in a meeting to say that since he had his MBA he didn’t need to read anything else, he knew everything he needed to know. He received more than a few strange looks from others in the room. I remember it so clearing because I was stunned that someone could not only actually think that way, but say it out loud. 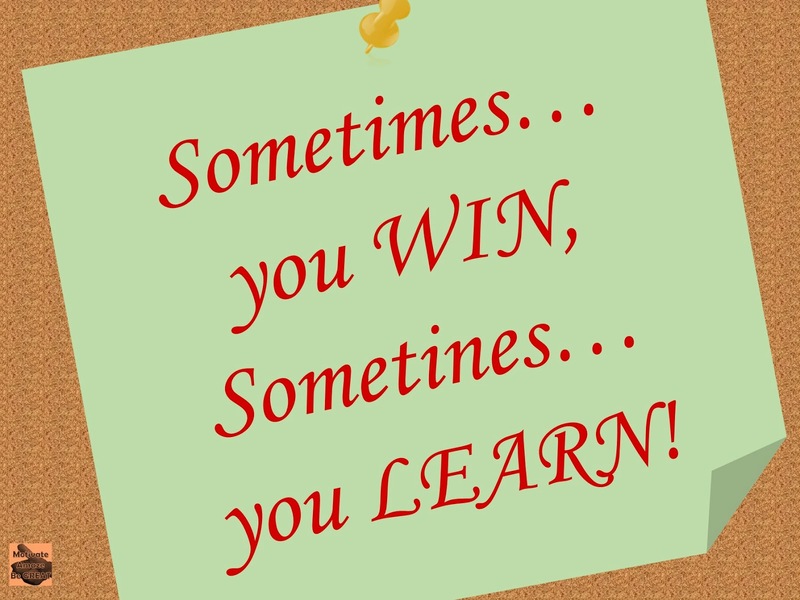 So, always be learning, always looking for opportunities to build experience. 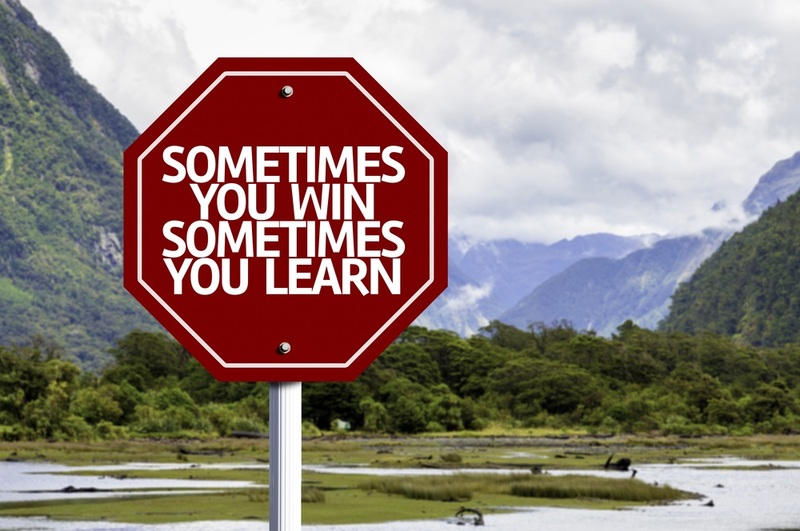 We may not succeed at everything we try, but at least in trying we know — as the saying goes — there is no winning or losing, there is only winning and learning. ← Do it – Step out of Your Comfort Zone!